Background: Abdominal migraine (AM) is a common cause of chronic and recurrent abdominal pain in children. It is characterized by paroxysms of moderate to severe abdominal pain that is midline, periumbilical, or diffuse in location and accompanied by other symptoms including headache, anorexia, nausea, vomiting, or pallor. Despite the presence of comprehensive diagnostic criteria under Rome IV classification of functional gastrointestinal disorders (FGIDs) and International Classification of Headache Disorders, it continues to be an underdiagnosed entity. Overview: The average age of diagnosis is 3–10 years with peak incidence at 7 years. Most of the patients have a personal or family history of migraine. Pathophysiology of the condition is believed to be similar to that of other FGIDs and cephalic migraine. It is also well recognized as a type of pediatric migraine variant. A careful history, thorough physical examination, and use of well-defined, symptom-based guidelines are needed to make a diagnosis. Selective or no testing is required to support a positive diagnosis. It resolves completely in most of the patients. However, these patients have a strong propensity to develop migraine later in life. Explanation and reassurance should be the first step once the diagnosis is made. Nonpharmacologic treatment options including avoidance of triggers, behavior therapy, and dietary modifications should be the initial line of management. Drug therapy should be considered only if symptoms are refractory to these primary interventions. Conclusion: More research focused on pathophysiology and management of AM needs to be carried out to improve outcomes in affected children. Chronic and recurrent abdominal pain is a very distressing symptom that causes significant morbidity in affected children impairing their school performance and overall quality of life.1–3 Chronic abdominal pain in childhood accounts for 2%–4% of office visits to primary care clinicians and 50% of referrals to pediatric gastroenterologists.2 It also utilizes a lot of community health resources with frequent emergency room visits, hospitalizations, and expensive laboratory and imaging services. Abdominal migraine (AM) is one of the most common causes of functional abdominal pain in children and is included under the Rome IV classification of functional gastrointestinal disorders (FGIDs).4 It is also currently well recognized as a type of pediatric migraine variant and has specific diagnostic criteria under the International Classification of Headache Disorders (ICHD) III.5–7 Despite the presence of well-defined diagnostic criteria, AM is still a lesser known entity and is underdiagnosed by both general pediatricians and pediatric gastroenterologists.8 More awareness about the essential clinical characteristics of the disease would improve diagnostic accuracy and guide clinicians in choosing the appropriate management for these patients. This would result in optimal utilization of health resources and also improve long-term outcomes in affected children. The primary objective of this article is to highlight the current understanding and summarize the most recent advances in the pathogenesis, diagnosis, and management of AM in children. We have also outlined the differential diagnoses and clinical association of the condition with cephalic migraine, other pediatric migraine equivalents, and FGIDs. AM is characterized by paroxysmal episodes of moderate to severe, poorly localized periumbilical, midline, or diffuse abdominal pain lasting ≥1 hour. Episodes are separated by weeks to months and there is a stereotypical pattern and symptoms in each patient. The pain is severe enough to interfere with normal daily activities. Abdominal pain is usually associated with other symptoms such as headache, pallor, anorexia, nausea, vomiting, and photophobia.4–7 After appropriate medical evaluation, symptoms cannot be attributed to any other medical condition. Most often, there is a family history of migraine and it has a strong propensity to evolve into migraine headaches in adulthood. The term “abdominal migraine” was first used by Brams in 1922 to describe functional epigastralgia that occurs in patients at periodic intervals.9 He also noted that there was a strong association of the condition with migraine. Most patients had migraine themselves or had a family history of migraine and also responded well to anti-migraine therapy. In 1933, Wyllie and Schlesinger introduced the term “periodic disorder of childhood” to describe recurrent episodes of pyrexia, headache, vomiting, and abdominal pain in childhood.10 Russell and Symon in 1986 reviewed the clinical characteristics of 40 children with possible AM and also demonstrated the effectiveness of anti-migraine therapy in these patients.11 They observed that symptoms continue to manifest as headaches or vomiting in adults. 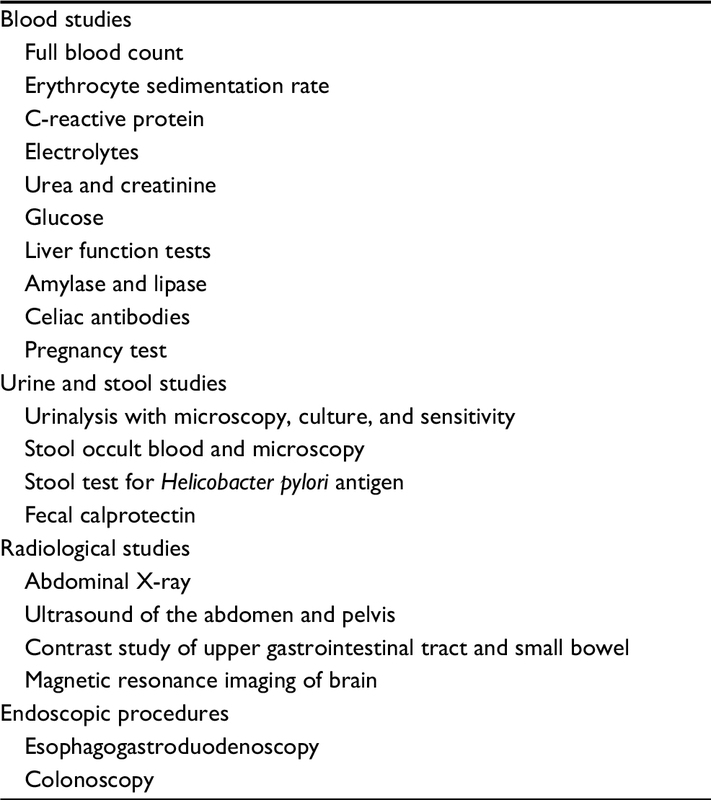 In 2006, Carson et al conducted a retrospective chart review on children aged 1–21 years who were referred to an academic pediatric gastroenterology center with chief complaint of recurrent abdominal pain.8 ICHD II criteria were used to identify patients with AM who met the diagnostic criteria. Of the 548 patients who met the inclusion criteria, 4.4% (20) met the ICHD II criteria for AM. Another 50 (11%) had documentation lasting at least one criterion, but were otherwise consistent with AM (probable AM). Thus, AM represented 4%–15% of children with chronic, idiopathic, recurrent abdominal pain. They also pointed out the “transAtlantic dissociation” of AM. During the assessment period from January 2006 to December 2007, none of the children in the Pediatric Gastroenterology Clinic received a diagnosis of AM. Most of the literature pertaining to AM comes from Europe and UK and there are very little data from the USA. They hypothesized that there is inadequate awareness about AM among clinicians in USA leading to underdiagnosis of the condition. A 2008 study compared the prevalence of various FGIDs in children with chronic, idiopathic abdominal pain using Rome II and Rome III criteria.28 The frequency of diagnosis of AM in patients with chronic abdominal pain increased from 5% to 23% when using Rome III criteria. This proves that Rome III criteria had a more positive predictive value (100%) and a low negative predictive value (7.7%). This might have led to incorrect diagnosis of other functional abdominal pain disorders (FAPDs) as AM. There have been no new studies reported so far that looked at the prevalence and other epidemiological characteristics of AM based on Rome IV criteria released in 2016. There are several hypotheses that have been postulated to explain the pathophysiology of AM but none of them have been definitively confirmed. Visceral hypersensitivity is the most definitive and unifying theory explaining the pathophysiology of all FGIDs.29 This theory is based on the strong association between the enteric nervous system and central nervous system (CNS) and their common embryonic origin. Patients with FGIDs have a low threshold for nociceptive stimuli. A variety of ill-defined factors including genetic, environmental, psychosocial (early stressors in life) etc predispose an individual to visceral hyperalgesia. Postulated mechanisms for visceral hyperalgesia include sensitization of primary sensory neurons and central spinal neurons, altered descending inhibitory control, and impaired stress response. This in turn causes alteration of bowel–gut axis and causes abnormal secretion of excitatory neurotransmitters such as serotonin. Serotonin plays a key role in the regulation of gastrointestinal (GI) motility, secretion, and sensation. The bidirectional communication between the brain–gut neurons through various neural and hormonal circuits may lead to changes in the CNS and cause other associated symptoms such as headache. Stimulation of the autonomic nervous system and sympathetic hyperactivity may account for symptoms such as pallor. Novel imaging techniques such as functional magnetic resonance imaging have shown defective visceral pain processing pathways in patients with FGID. Although, the theory of visceral hyperalgesia has not been specifically proven in patients with AM, it is the most evidence-based explanation for all FGIDs. Patients with AM may have abnormal gut motility. It is postulated that functional abdominal pain results from distension of the GI tract and abnormal contractions which cause hyperalgesia. A study conducted in a tertiary referral center in Sri Lanka from 2007 to 2012 looked at gastric motility parameters in 17 children aged 4–12 years with AM compared to healthy controls.30 They found that gastric emptying rate and antral motility parameters were significantly lower in children with AM. Gastric emptying rate had a significant negative correlation with the average duration of pain episodes. The amplitude of antral contractions negatively correlated with scores obtained for severity of symptoms. These findings suggest a possible role of abnormal gastric motility in the pathogenesis of AM. Gut permeability may be altered in patients with AM. Mucosal permeability is an indirect function of gut health. A study conducted by Bentley et al in 1995 compared the gut mucosal permeability between 11 children with diagnosis of AM and healthy controls.27 They found that gut mucosal permeability was significantly increased in patients with AM when compared to healthy controls. Three patients were followed longitudinally over 3 years with follow-up tests three times a year. They noticed that the gut mucosal permeability decreased with symptomatic improvement and vice versa. This might explain why nonsteroidal anti-inflammatory drugs (NSAIDs) are not beneficial in patients with AM; as these drugs increase mucosal permeability. However, no further research has been conducted to test this hypothesis and its implications in the management of children with AM. Of note, this study was done before specific guidelines were published for the diagnosis of AM. In 1995, Bentley et al compared IgE levels and positive radioallergosorbent (RAST) tests in 14 patients with AM and healthy controls.27 No significant decrease in IgE levels and positive RAST test rate was noted in patients with AM when compared to the control group. Also, no dietary allergens could be identified via a skin prick test in these patients. This could be because AM causes selective activation of gut mucosal immune response rather than systemic immunity. Further research specifically focused on altered immune responses in patients with AM would help in identifying new treatment strategies. Phenol sulfotransferase (PST) enzymes (S and P) are key enzymes involved in the metabolism of catecholamines and other amine neurotransmitters. Activity of the enzyme is significantly decreased in patients with diet-induced migraine.41,42 This results in an accumulation of inflammatory neuropeptides and neurotransmitters that activate the migraine cascade. The enzyme is also inhibited by several dietary constituents including cheese, red wine etc which can all precipitate migraine headache. In 1995, Bentley et al reviewed the platelet expression of these two isoenzymes (PST S and P) in 21 patients with AM when compared to normal subjects.27 No significant change in enzyme activity was noted in the two groups. The level of enzyme activity in platelets might not be a true reflection of levels in the enteric nervous system. However, more studies are needed to confirm this hypothesis. Genetic mutations and polymorphisms of genes, which are still not well defined, regulate ion channels, neurotransmitter metabolism, and mitochondrial metabolism in the CNS and contribute to the pathophysiology of migraine headaches.43,44 There is a strong genetic predisposition to the development of functional abdominal pain as well.2 A 2017 study found evidence suggesting Y2 receptor antagonism and YY gene deletion may be related to visceral hyperalgesia.45 The contribution of genetic factors to AM is further supported by the presence of family history of migraine or chronic abdominal pain in most of the patients.25,46 However, more research is needed to identify these factors. Menstrual cycle, pregnancy, lifestyle, diet, anxiety, chronic stress etc are the major psychosocial factors contributing to cephalic migraine.38 Stress and anxiety also play a role in the pathogenesis of FGIDs.2 The role of these factors in AM needs to be reviewed in further studies. Autonomic instability, disturbances in the hypothalamus–pituitary axis, altered intestinal microbiome, small intestinal bacterial overgrowth, acute infectious diseases with chronic changes, lactose intolerance, and abnormal mitochondrial function are the other theories that have been proposed in the pathogenesis of FGIDs and cephalic migraine.2,5 More research focused on pathophysiology of AM needs to be performed to validate the role played by these different factors. AM is a well-recognized entity with specific diagnostic criteria under ICHD III (beta version) released in 2013 and Rome IV diagnostic criteria published in 2016.4 It is included under “episodic syndromes that may be associated with migraine” under the ICHD classification.5–7 The ICHD defines AM as an idiopathic cause of moderate to severe chronic, recurrent abdominal pain that is midline, periumbilical, or poorly localized, dull or just sore in quality. Attacks usually last 2–72 hours when not treated successfully or without treatment. Patient is completely free of symptoms between attacks. Patient has at least two associated symptoms among anorexia, nausea, vomiting, and pallor during the attack. At least five “pain episodes” are needed to fulfill the diagnosis. AM is also included under the Rome classification of FGID and Rome IV criteria recently published in May 2016.19 As per Rome IV, AM is characterized by paroxysmal episodes of intense periumbilical, midline, or diffuse abdominal pain lasting ≥1 hour. Abdominal pain is the most severe and distressing symptom and is incapacitating and interferes with normal activities. After appropriate evaluation, symptoms cannot be fully explained by another medical condition. The pain may be associated with at least two of the following features: anorexia, nausea, vomiting, headache, photophobia, or pallor. Stereotypical pattern and symptoms are seen in the individual patient. At least two episodes in a 6-month period are needed to confirm the diagnosis. The two criteria differ in several aspects including the number of episodes required to make the diagnosis and also the duration of each painful episode. As per ICHD III criteria, the patient has to be completely symptom free between the episodes. Rome IV uses the phrase “episodes are separated by weeks to months” to account for baseline GI symptoms and avoid confusion in parents (this replaces the phrase “return to baseline health” in Rome III criteria). Rome IV criteria also remove the dictum that FGID can only be diagnosed after organic diseases are excluded. The usage of “no evidence of organic disease” in Rome III has been replaced with “after appropriate evaluation, symptoms cannot be fully explained by another medical condition.” This change allows the clinician to make the diagnosis of AM with selective or no testing. Having a diagnosis of AM does not exclude the presence of other FAPDs for symptoms outside of the episodes. The average duration of episodes is 1–17 hours and the average number of episodes per month varies from 2 to 20.17,30,46 Some patients may have more than one episode per day. Headache is the most common associated symptom. AM shares many clinical, epidemiologic, and pathophysiologic similarities with cephalic migraine.25,46 The International Headache Society included AM in the ICHD classification in 2002. A history of migraine headache in a first-degree relative is described in 34%–90% of patients. A personal history of migraine headaches is seen in 24%–47% of patients. AM and cephalic migraine also share common triggers and also similar relieving factors as outlined in Table 3. AM has been clearly shown to be a precursor to the development of migraine with and without aura. Also, many of the treatment strategies for migraine have been found to be effective in patients with AM. A 1995 study by Abu-Arafeh and Russell reviewed the prevalence and clinical features of children with migraine and AM.46 One hundred and fifty nine children with migraine and 58 children with AM were included in the study. They concluded that patients with migraine and AM shared many similarities to suggest a common pathogenesis. The prevalence of migraine in children with AM was 24%, which was twice the prevalence of migraine in the general population (10%). Conversely, among children with migraine the prevalence of AM was 9%, which was again twice the prevalence of AM in the general population (4.1%). Also, a family history of migraine in a first-degree relative was twice as common in patients with AM when compared to controls (34% vs 17%). Also, patients in the two groups had similar relieving and triggering factors and similar recurrent-associated symptoms. A study by Good showed that cyclic vomiting syndrome (CVS), AM, and migraine with and without aura share many neurophysiologic similarities including abnormal vision-evoked electroencephalography (EEG)-beta activity, high-frequency photics following responses, and visual event-related potentials.39 This further supports the classification of AM as a true migraine equivalent. Although no association has been shown between AM and benign paroxysmal vertigo, some link has been noted between motion sickness and AM. Farqahar et al reviewed the characteristics of a set of children with symptoms suggestive of AM. He observed that motion sickness was a common complaint in these patients and their families although it was not formally analyzed.56 A link with motion sickness was further noted in epidemiologic studies conducted in 1983 and 1993.25,55 Of note, these studies were done when there were no clear guidelines to diagnose AM. Also, there was no specific demarcation between CVS and AM at that time. Hence, the validity of these observations needs to be further elucidated. AM belongs to the class of FAPDs under Rome IV classification of FGIDs. The other disorders included are functional dyspepsia, IBS, CVS, and functional abdominal pain – not otherwise specified. 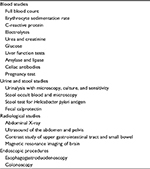 Many of the mechanisms postulated under pathogenesis of AM, especially the visceral hyperalgesia theory, have been studied mostly in patients with FGIDs (IBS and functional dyspepsia, in particular).57 Helgeland et al noted that symptoms of IBS and AM overlapped in 33% patients as per the Rome III criteria.19 Clinical association between AM and other FGIDs needs to be evaluated further in research studies as it may open new avenues in the treatment of AM. AM is considered as a precursor to cephalic migraine although abdominal pain is proven to resolve completely in most of the patients. Dignan et al studied 54 patients with diagnosis of AM and followed them up for 10 years.17 Abdominal pain symptoms had resolved completely in 61% cases. In all, 70% developed migraine with or without aura compared with 20% of the matched control group. AM can also rarely persist in adulthood.58 Longitudinal studies are needed to study long-term prognosis and the course of childhood AM into adulthood. Scicchitano et al proposed an algorithm in 2014 to achieve a timely diagnosis of AM which we modified based on the updated Rome IV guidelines (Figure 1).61 If the diagnosis is still unclear or if there is any suspicion of an organic pathology, the patient should be referred to a pediatric gastroenterologist. To summarize, a comprehensive history and physical examination with judicious use of diagnostic tools would be optimal in making a diagnosis of AM. 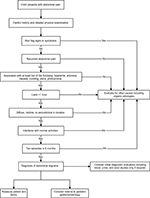 Figure 1 Diagnostic algorithm for abdominal migraine. Abbreviations: IV, intravenous; HT, hydroxytryptamine. Explanation and reassurance in a biopsychosocial model of care should be the initial step once a clinical diagnosis of AM is made.15,61 The parent/child dyad should be educated about the episodic nature of the illness, presence of possible triggers and relieving factors, association with migraine and other FGIDs, and prognosis of the disease based on available data. The absence of any organic abdominal pathology should be reiterated. In addition, a positive outlook that AM is eventually expected to improve on its own in most children will help cope with symptoms. AM and migraine share many common triggers as shown in previous studies.46 Many patients report improvement by avoiding triggers such as stress, travel, exercise, flickering lights, prolonged fasting, and alteration of sleep pattern. Russell et al observed that AM that starts early in the morning can be prevented by taking a breakfast cereal before going to bed.15 This “breakfast at bedtime” should consist of a high-fiber cereal to prolong its glycemic effect. Further studies are needed to confirm its efficacy. A high-fiber diet may also be effective in some patients with recurrent abdominal pain.63 Probiotics have been found to be effective in patients with FAPDs, especially IBS and functional dyspepsia.63 Lactose intolerance has been noted in some patients with chronic abdominal pain and a lactose-free diet is effective in this subgroup.2,63 However, further research needs to be carried out to study the efficacy of these treatment options in children with AM. Psychotherapy, specifically cognitive behavior therapy, may be effective in patients with AM. The biopsychosocial model of origin of functional abdominal pain suggests that psychological interventions may be helpful in these patients. Hypnotherapy, family therapy, and yoga have been found to be beneficial in children with functional abdominal pain, IBS in particular.64,65 More studies focused specifically on AM need to be carried out to prove the efficacy of these treatment options. Pharmacotherapy is reserved for patients with frequent, severe symptoms or for those patients who do not respond well to nonpharmacological interventions.15 As there is no objective measurement of disease severity, the decision to start drug therapy is based on the clinician’s judgment and receptiveness of the family to various treatment options. 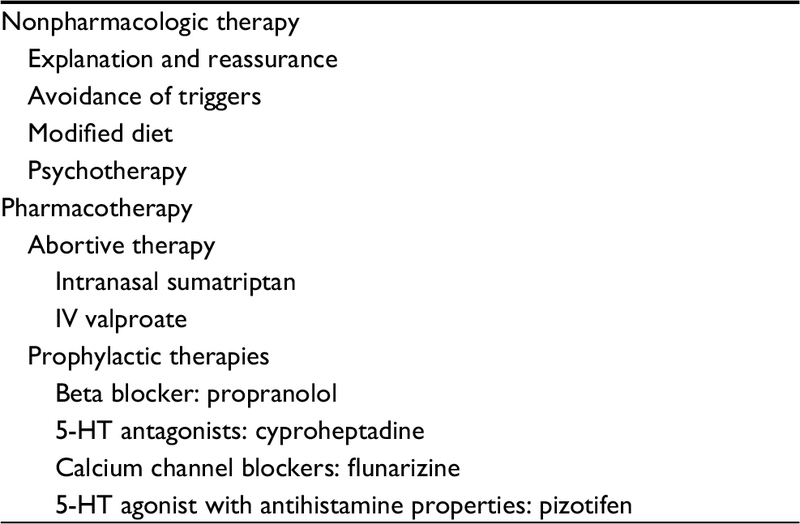 Studies related to the use of these drugs in AM are summarized in Table 6. Abbreviations: HT, hydroxytryptamine; BID, twice a day; TID, thrice a day; PO, orally; GABA, gamma aminobutyric acid; IV, intravenous. Triptans (5-hydroxytryptophan 1 A/D agonists) have been found to be effective for abortive therapy. Intranasal sumatriptan therapy has been studied in patients with AM.66 Almotriptan has been found to be effective in patients with pediatric migraine.67 However, no studies have been conducted on patients with AM. The efficacy of NSAIDs and acetaminophen needs to be studied with well-designed randomized control trials. Beta blockers (propranolol), calcium channel blockers (flunarizine), serotonin antagonists (cyproheptadine, pizotifen), and GABA agonists (valproate) are the most common drugs that have used in patients with AM.40,62,68–70 These drugs have been found to be effective in patients with cephalic migraine and hence were tried in patients with AM due to similarities in their pathogenesis. AM is a FAPD characterized by paroxysmal episodes of periumbilical pain and other vasomotor or GI symptoms severe enough to interfere with daily activities. It is considered as a precursor of migraine headaches and shares a similar pathophysiology and treatment responses. A comprehensive history, physical examination, appropriate diagnostic tests (only if needed), and use of well-defined guidelines will aid in the timely diagnosis of AM and optimize treatment outcomes. Although precise diagnostic criteria are present, it continues to be an underdiagnosed entity. Increasing awareness among the scientific community combined with more research studies focusing on epidemiology, pathophysiology, effective treatment options, and long-term prognosis would help improve the quality of life of affected children and limit health care utilization. Di Lorenzo C, Colletti RB, Lehmann HP, et al. 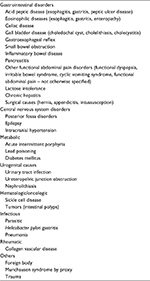 Chronic abdominal pain in children: a technical report of the American Academy of Pediatrics and the North American Society for Pediatric Gastroenterology, Hepatology and Nutrition: AAP Subcommittee and NASPGHAN Committee on Chronic Abdominal Pain. J Pediatr Gastroenterol Nutr. 2005;40(3):249–261. McFerron BA, Waseem S. Chronic recurrent abdominal pain. Pediatr Rev. 2012;33(11):509–517. Feldman W, Rosser W, McGrath P. Recurrent abdominal pain in children. Can Fam Physician. 1988;34:629–630. Drossman DA, Hasler WL. Rome IV – functional GI disorders: disorders of gut-brain interaction. Gastroenterology. 2016;150(6):1257–1261. Napthali K, Koloski N, Talley NJ. Abdominal migraine. Cephalalgia. 2016;36(10):980–986. Winner P. Abdominal migraine. Semin Pediatr Neuro. 2016;23(1):111–113. Wang SJ. Abdominal migraine. In:Greenamyre JT, editor. MedLink Neurology [Online October 8, 2016]. San Diego, CA: MedLink Corp; 2013. Carson L, Lewis D, Tsou M, et al. Abdominal migraine: an under-diagnosed cause of recurrent abdominal pain in children. Headache. 2011;51(5):707–712. Blitzstein NL, Brams WA. Migraine with abdominal equivalent. J Am Med Assoc. 1926;86(10):675–677. Wyllie WG, Schlesinger B. The periodic group of disorders in childhood. Br J Child Dis. 1933;30:1–21. Symon DN, Russell G. Abdominal migraine: a childhood syndrome defined. Cephalalgia. 1986;6(4):223–228. Axon AT, Long DE, Jones SC. Abdominal migraine: does it exist? J Clin Gastroenterol. 1991;13(6):615–616. Symon DN, Hockaday JM. Is there a place for “abdominal migraine” as a separate entity in the IHS classification? Yes! Cephalalgia. 1992;12(6):345–348. Hockaday JM. Is there a place for” abdominal migraine” as a separate entity in the IHS classification? No! Cephalalgia.1992;12(6):346. Russell G, Abu-Arafeh I, Symon DN. 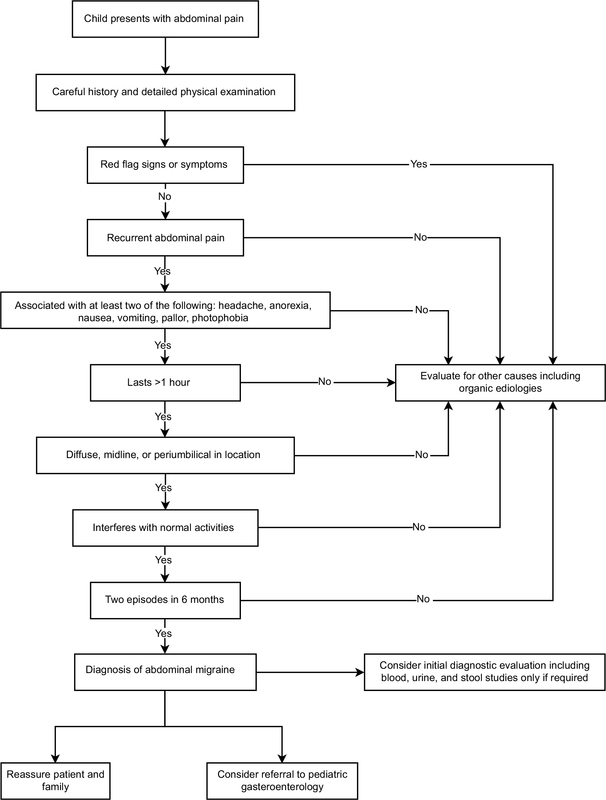 Abdominal migraine: evidence for existence and treatment options. Paediatr Drugs. 2002;4(1):1–8. Russell G, Symon DN, Abu-Arafeh IA. The child with recurrent abdominal pain: is it abdominal migraine? Br J Hosp Med. 2007;68(7):M110–M113. Dignan F, Abu-Arafeh I, Russell G. The prognosis of childhood abdominal migraine. Arch Dis Child. 2001;84(5):415–418. Uc A, Hyman PE, Walker LS. 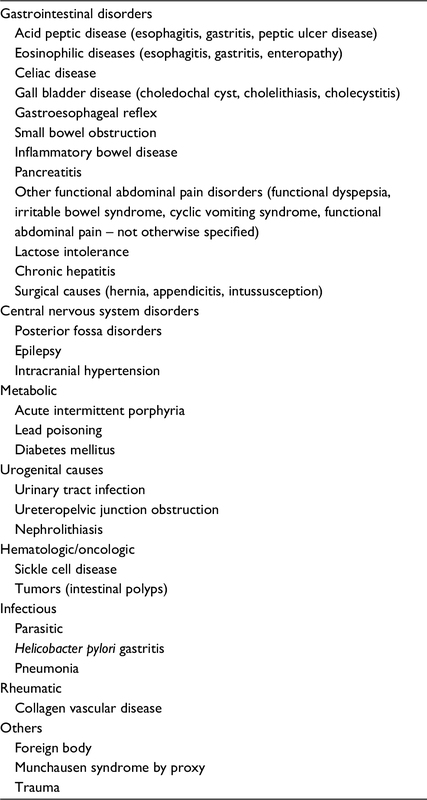 Functional gastrointestinal disorders in African American children in primary care. J Pediatr Gastroenterol Nutr 2006;42(3):270. Helgeland H, Flagstad G, Grøtta J, Vandvik PO, Kristensen H, Markestad T. Diagnosing pediatric functional abdominal pain in children (4–15 years old) according to the Rome III Criteria: results from a Norwegian prospective study. J Pediatr Gastroenterol Nutr. 2009;49(3):309–315. Devanarayana NM, Adhikari C, Pannala W, Rajindrajith S. Prevalence of functional gastrointestinal diseases in a cohort of Sri Lankan adolescents: comparison between Rome II and Rome III criteria. J Trop Pediatr. 2011;57(1):34–39. Korterink JJ, Diederen K, Benninga MA, Tabbers MM. Epidemiology of pediatric functional abdominal pain disorders: a meta-analysis. PLoS One. 2015;10(5):e0126982. Lewis ML, Palsson OS, Whitehead WE, Van Tilburg MA. Prevalence of functional gastrointestinal disorders in children and adolescents. J Pediatr. 2016;177:39–43. Játiva E, Velasco-Benítez CA, Koppen IJ, Játiva-Cabezas Z, Saps M. Prevalence of functional gastrointestinal disorders in schoolchildren in Ecuador. J Pediatr Gastroenterol Nutr. 2016;63(1):25–28. Devanarayana NM, Mettananda S, Liyanarachchi C, et al. 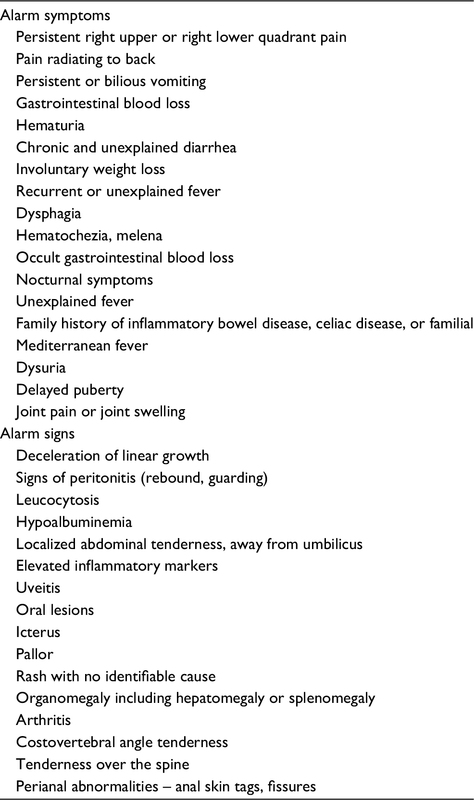 Abdominal pain–predominant functional gastrointestinal diseases in children and adolescents: prevalence, symptomatology, and association with emotional stress. J Pediatr Gastroenterol Nutr. 2011;53(6):659–665. Mortimer MJ, Kay J, Jaron A. Clinical epidemiology of childhood abdominal migraine in an urban general practice. Dev Med Child Neurol. 1993;35(3):243–248. Chitkara DK, Rawat DJ, Talley NJ. The epidemiology of childhood recurrent abdominal pain in Western countries: a systematic review. Am J Gastroenterol. 2005;100(8):1868–1875. Bentley D, Kehely A, Al-Bayaty M, Michie CA. Abdominal migraine as a cause of vomiting in children. J Pediatr Gastroenterol Nutr. 1995;21:S49–S51. Baber KF, Anderson J, Puzanovova M, Walker LS. Rome II versus Rome III classification of functional gastrointestinal disorders in pediatric chronic abdominal pain. J Pediatr Gastroenterol Nutr. 2008;47(3):299. Devanarayana NM, Rajindrajith S, Benninga MA. Abdominal migraine in children: association between gastric motility parameters and clinical characteristics. BMC Gastroenterol. 2016;16(1):26. Bentley D, Katachburian A, Brostoff J. Abdominal migraine and food sensitivity in children. Clin Allergy. 1984;14(5):499–500. Mehle ME. Migraine and allergy: a review and clinical update. Curr Allergy Asthma Rep. 2012;12(3):240–245. Özge A, Öksüz N, Ayta S, et al. Atopic disorders are more common in childhood migraine and correlated headache phenotype. Pediatr Int. 2014;56(6):868–872. Egger J, Wilson J, Carter CM, Turner MW, Soothill JF. Is migraine food allergy? A double-blind controlled trial of oligoantigenic diet treatment. Lancet. 1983;322(8355):865–869. Powell N, Walker MM, Talley NJ. The mucosal immune system: master regulator of bidirectional gut-brain communications. Nat Rev Gastroenterol Hepatol. 2017;14(3):143–159. Goadsby PJ. Pathophysiology of migraine. Ann Indian Acad Neurol. 2012;15(Suppl 1):S15–S22. Loewendorf AI, Matynia A, Saribekyan H, Gross N, Csete M, Harrington M. Roads less traveled: sexual dimorphism and mast cell contributions to migraine pathology. Front Immunol. 2016;7:140. D’Andrea G. Pathogenesis of chronic migraine: the role of neuromodulators. J Headache Pain. 2015;16(S1):A38. Good PA. Neurologic investigations of childhood abdominal migraine: a combined electrophysiologic approach to diagnosis. J Pediatr Gastroenterol Nutr. 1995;21(Suppl 1):S44–S48. Tan V, Sahami AR, Peebles R, Shaw RJ. Abdominal migraine and treatment with intravenous valproic acid. Psychosomatics. 2006;47(4):353–355. Jones AL, Rubin GL, Coughtrie MW, Roberts RC, Colvin W. Reduced platelet phenolsulphotransferase activity towards dopamine and 5-hydroxytryptamine in migraine. Eur J Clin Pharmacol. 1995;49(1):109–114. Gibb C, Glover V, Gilbertson N, Bentley D, Sandler M. Platelet phenolsulphotransferase activity and ‘abdominal migraine’. Arch Dis Child. 1988;63(12):1500–1501. Kusumi M, Ishizaki K, Kowa H, et al. Glutathione S-transferase polymorphisms: susceptibility to migraine without aura. Eur Neurol. 2003;49(4):218–222. Mortimer MJ, Kay J, Jaron A, Good PA. Does a history of maternal migraine or depression predispose children to headache and stomach ache? Headache. 1992;32(7):353–355. Hassan AM, Jain P, Mayerhofer R, et al. Visceral hyperalgesia caused by peptide YY deletion and Y2 receptor antagonism. Sci Rep. 2017;7:40968. Abu-Arafeh I, Russell G. Prevalence and clinical features of abdominal migraine compared with those of migraine headache. Arch Dis Child. 1995;72(5):413–417. Sangermani R, Pirovano S, Vaccari R, Gibelli M, Rossi A. Abdominal migraine simulating acute abdomen. Pediatr Med Chir. 1991;14(2):163–165. Dimitrova AK, Ungaro RC, Lebwohl B, et al. 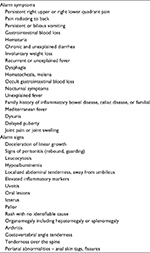 Prevalence of migraine in patients with celiac disease and inflammatory bowel disease. Headache. 2013;53(2):344–355. Cuvellier JC, Lépine A. Childhood periodic syndromes. Pediatr Neurol. 2010;42(1):1–11. Lanzi G, Balottin U, Fazzi E, Rosano FB. The periodic syndrome in pediatric migraine sufferers. Cephalalgia. 1983;3(1_Suppl):91–93. Arruda MA, Guidetti V, Galli F, Albuquerque RC, Bigal ME. Childhood periodic syndromes: a population-based study. Pediatr Neurol. 2010;43(6):420–424. Lagman-Bartolome AM, Lay C. Pediatric migraine variants: a review of epidemiology, diagnosis, treatment, and outcome. Curr Neurol Neurosci Rep. 2015;15(6):1–4. Symon DN. Is cyclical vomiting an abdominal form of migraine in children? Dig Dis Sci. 1999;44(8 Suppl):23S–25S. Catto-Smith AG, Ranuh R. Abdominal migraine and cyclical vomiting. Semin Pediatr Surg. 2003;12:254–258. Lanzi G, Balottin U, Ottolini A, Burgio FR, Fazzi E, Arisi D. Cyclic vomiting and recurrent abdominal pains as migraine or epileptic equivalents. Cephalalgia. 1983;2:115–118. Farquhar HG. Abdominal migraine in children. Br Med J. 1956;1(4975); 1082–1085. Bremner AR, Sandhu BK. Recurrent abdominal pain in childhood: the functional element. Indian Pediatr. 2009;46(5):375–379. Kunishi Y, Iwata Y, Ota M, Kurakami Y, Matsubayashi M, Kanno M. Abdominal migraine in a middle-aged woman. Intern Med. 2016;55(19):2793. Popovich DM, Schentrup DM, McAlhany AL. Recognizing and diagnosing abdominal migraines. J Pediatr Health Care. 2010;24(6):372–377. Lundberg PO. Abdominal migraine-diagnosis and therapy. Headache. 1975;15(2):122–125. 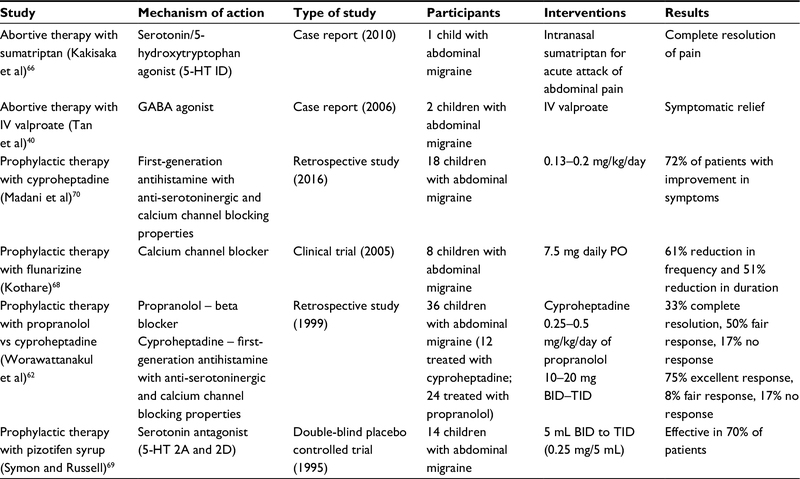 Scicchitano B, Humphreys G, Mitton SG, Jaiganesh T. Abdominal migraine in childhood: a review. Pediatr Health Med Ther. 2014;5:73–81. Worawattanakul M, Rhoads JM, Lichtman SN, Ulshen MH. Abdominal migraine: prophylactic treatment and follow-up. J Pediatr Gastroenterol Nutr. 1999;28(1):37–40. Newlove-Delgado TV, Martin AE, Abbott RA, et al. Dietary interventions for recurrent abdominal pain in childhood. Cochrane Database Syst Rev. 2017;3:CD010972. Palsson OS. Hypnosis treatment of gastrointestinal disorders: a comprehensive review of the empirical evidence. Am J Clin Hypn. 2015;58(2):134–158. Gulewitsch MD, Weimer K, Enck P, Schwille-Kiuntke J, Hautzinger M, Schlarb AA. Stress reactivity in childhood functional abdominal pain or irritable bowel syndrome. Eur J Pain. 2017;21(1):166–177. Kakisaka Y, Wakusawa K, Haginoya K, et al. Efficacy of sumatriptan in two pediatric cases with abdominal pain-related functional gastrointestinal disorders: does the mechanism overlap that of migraine? J Child Neurol. 2010;25(2):234–237. Kacperski J, Hershey AD. Newly approved agents for the treatment and prevention of pediatric migraine. CNS Drugs. 2016;30(9):837–844. Kothare SV. Efficacy of flunarizine in the prophylaxis of cyclical vomiting syndrome and abdominal migraine. Eur J Paediatr Neurol. 2005;9(1):23–26. Symon DN, Russell G. Double blind placebo controlled trial of pizotifen syrup in the treatment of abdominal migraine. Arch Dis Child. 1995;72(1):48–50. Madani S, Cortes O, Thomas R. Cyproheptadine use in children with functional gastrointestinal disorders. J Pediatr Gastroenterol Nutr. 2016;62(3):409–413.